“This regressive law, if passed, will endanger children’s lives rather than reduce crime. Let’s remember that the so-called ‘war on drugs’ – in whose name this law was drafted – is a reckless war on the poor that has already left tens of thousands dead, including children. “Today the government takes another harsh step, by opening the door to the criminal prosecution of young children including for drug-related offences. In a climate where the police act as judge, jury and literally, executioner, this bill risks enabling further abuses of power. 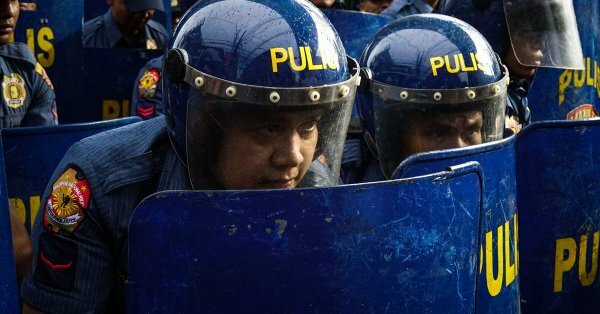 During the 2016 election campaign, Philippine President Rodrigo Duterte vowed to clamp down on crime. As part of this promise, he pledged to lower the minimum age of criminal responsibility, sparking widespread condemnation from children’s rights organisations and the international community, including the UN. During the review of the Philippines’ human rights record before the UN Human Rights Council on 8 May 2017, numerous states called on the authorities to refrain from lowering the minimum age of criminal responsibility and instead ensure the effective implementation of the Juvenile Justice and Welfare Act of 2006. On 28 January 2019, the House of Representatives approved on third and final reading a bill that would lower the minimum age of criminal responsibility from 15 to 12 years old. The Senate is considering its own version of the bill. If approved by Congress, the proposed legislation would amend Republic Act 10630, which sets the minimum age of criminal liability at 15 years old. Currently, children under the age of 15 in the Philippines are exempt from criminal liability, but subject to intervention by the government under the provisions of the Juvenile Justice and Welfare Act of 2006. The Act takes into account the best interests of children in conflict with the law, including their need for adequate protection, rehabilitation and re-integration into society.